Italian twins Sara Marinelli (left) and Laura Martinelli, both students at Ulster University, were two of the 250 international students to be welcomed to Belfast on Sunday at Belfast City Hall. 250 new international students were formally welcomed to Belfast on Sunday with a reception at Belfast City Hall. The event brought together students from both Ulster University and Queen’s University Belfast and signifies the importance of international students to the city, with students from all over the world in attendance. “It is wonderful to see so many students from around the world have chosen Belfast for their studies. It is a reflection of the city’s reputation for excellence in terms of education and of the warmth with which international students are met when they come here. 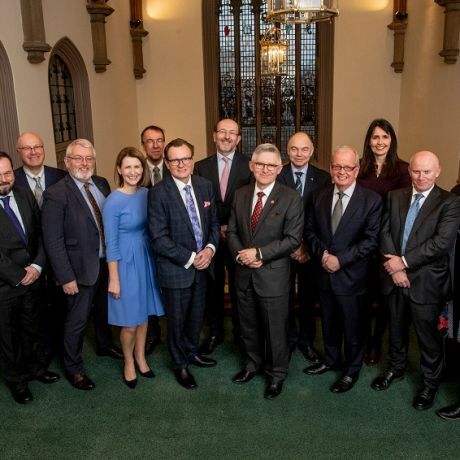 This International Student Welcome is the first of its kind for Belfast, and was a collaboration between Belfast City Council, Queen’s University Belfast, Ulster University, British Council Northern Ireland and Invest NI. It comes after a recent report by the Higher Education Policy Institute (HEPI) found that international students are worth £170m to the Northern Ireland economy - but their value to Northern Ireland goes well beyond their economic value - they bring skills, new insights, valuable intercultural skills and diversity to the student population. 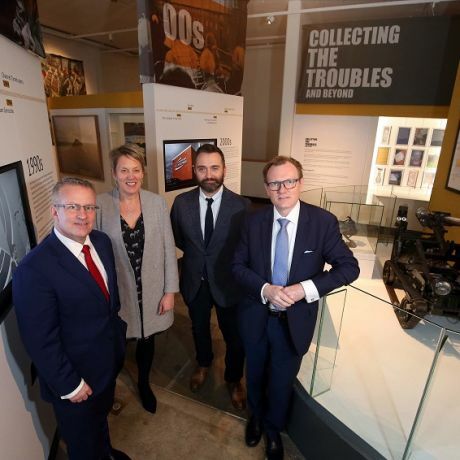 “Opening our doors to international students brings cultural diversity, new experiences and ideas in to our city and we are delighted to support this collaboration between Ulster University and Queen’s University. “With an above average student satisfaction rate Ulster University is delighted to welcome more international students to our four campuses across Northern Ireland than ever before. 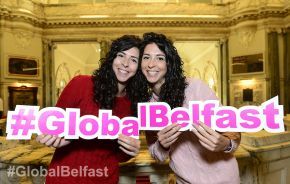 “It has been a pleasure to be part of this brilliant event at Belfast City Hall that is all about welcoming our international students to the city. At Queen’s we work hard to ensure our international students settle well into university life but we also want to make sure that they integrate happily into life in Belfast too.